There are some common habits we practice that are detrimental to the kidneys. Kidney is one of the most important organs in the body. It is responsible for filtering the blood and excreting waste products and excess water in the form of urine. The organ is in pair. If one is faulty, the other take charge. One hidden fact about this organ is that, damaging to any of them are not easily noticeable. The kidneys perform many vital functions in the human body, such as: prevent the buildup of waste in the body, keep electrolyte levels stable, and make hormones that regulate blood pressure, make blood cells, and maintain strong bones. Below are some of habits we inculcate that are detrimental to the kidneys and the way out. 1. Urine retention: This is when you refuse to empty your bladder. If done on regular basis, it can increase urine pressure in your bladder and also the kidney which may cause kidney failure or incontinence. 2. Inadequate water intake: The kidney needs adequate water to be able to perform its filtering function. If we don’t drink enough, the toxins can start accumulating in the blood, as there isn’t enough fluid to drain them through the kidneys. The National Kidney Foundation suggests drinking at least 12 glasses of water per day. An easy way to see if you’re drinking enough is to check the color of your urine. 3. Too much alcohol consumption: The toxins found in alcohol not only damage the liver, but also your kidneys. According to Kidney Health Australia and American Kidney Fund, one way to avoid kidney disease is to drink alcohol in moderation. 4. Consuming too much caffeine: We often consume more caffeine than we think we do. It features in many soft drinks and sodas, and before you know it, your blood pressure goes through the roof and your kidneys start complaining. 5. Too much protein: According to Harvard University, too much protein in your diet can harm the kidneys. The by product of protein digestion is ammonia – a toxin your hard-working kidneys need to neutralize. More protein means more effort for the kidneys, which can, over time, lead to decreased function. 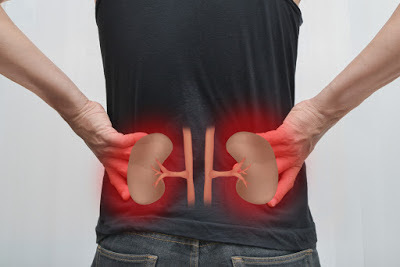 It can also cause a kidney disease called Nephrotic syndrome. 6. Too much of salt: Do not forget that, wherever sodium goes, water follows. Overconsumption can raise your blood pressure and put too much strain on the kidneys. Not more than 5.8 grams of salt should be eaten daily, so take it easy with that salt shaker. 7. Frequent sleep disruption: Science Daily reports that chronic sleep disruption can cause kidney disease. According to Dr. Michael Sole, Cardiologist and founding director of the Peter Munk Cardiac Center and Professor of Medicine and Physiology at the University of Toronto, kidney tissue gets renewed during the night, so sleep interruptions can cause direct damage to this organ. 8. Magnesium deficiency: If you don’t get enough magnesium, calcium can’t get properly absorbed and assimilated, which can result in calcium overload and kidney stone formation. To prevent that, consume green leafy vegetables, beans, seeds and nuts. 9. Lack of exercise: Exercise has a profound effect on the kidney and other organs. Maintaining a proper weight has a beneficial effects on the kidney.